Isabel Luche Not Real Winner Of 'Best In Sinulog Festival Costume' Award? 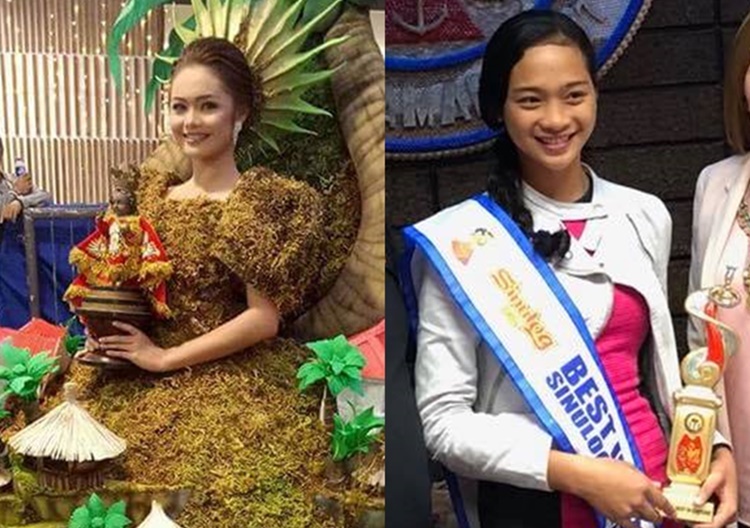 Daanbantayan Queen Isabel Luche Not Real Winner Of ‘Best In Sinulog Festival Costume’ Award? Isabel Luche Only Awarded by ‘Mistake’ As Winner of ‘Best in Sinulog Festival Costume’ Award? ISABEL LUCHE – The real winner of the ‘Best in Sinulog Festival Costume’ award is reportedly not Isabel Luche of Daanbantayan but Mary Faith Voz Libres of Catbalogan City, Samar. Many people were surprised with the costume of Isabel Luche of Tribu Kandaya. She wore an entire mountain with rice fields, trees, and nipa huts. However, based on a recent report in Cebu Daily News, she was only awarded by ‘mistake’ when she was hailed as the ‘Best in Sinulog Festival Costume’. According to the report, the real winner of the said award is Mary Faith Voz Libres of Tribu Katbalaugan of Catbalogan City in Samar. She wore a white and silver creation of Lyndon Adolfo. Based on the report, the error was discovered when the city officials of Catbalogan went to Sinulog Foundation Inc. to claim the cash prize. It was then found out that the check amounting to PHP 10,000 was under the name of Mary Faith Voz Libres. According to the report, the head of Catbalogan City’s tourism, culture, arts, and information offices, Ador Hurtado, claimed that they immediately informed the SFI about it and as well as Councilor Dave Tumulak, the executive committee chairman of Sinulog 2018. Hurtado sent a letter to SFI regarding the issue and Sinulog Festival 2018 program director Jess Anthony dela Cruz responded to the letter apologizing regarding what happened. “He was very apologetic and told me that they will publish an apology on the newspaper to set the record straight. Mr. Dela Cruz also said he will personally visit Catbalogan to hand over the sash and the trophy,” the Catbalogan City’s tourism, culture, arts, and information offices’ head said. Based on the report, the promise of Dela Cruz happened and they also received PHP 10,000 from the SFI. In a letter, it was reportedly clarified that the winner of “Best in Costume Design” is Daanbantayan Queen Isabel Luche while the winner of “Best in Festival Costume” is Tribu Katbalaugan’s festival queen.